Developing Navyandra .. Challenges. There are many problems. The new state is not yet said to have progressed at this level. That does not mean that it is not fully developed. But it is difficult to invest in a large scale state. However, the worker and the continuous prolonged Chief Minister Chandrababu changed these challenges positively. The CII Conferences in Visakhapatnam are undertaken by the state progress. Vishakha is celebrated for the third time at the CII Conference. Chief Minister Chandrababu is working hard to increase investment in the industry sector and to keep the top in the state. Effective plans are being advanced to make the resources available for Navyandra to be widely used. In the backdrop, the state government has taken steps to organize a joint venture with the Indian Industry Federation to collaborate with the CII. These initiatives were the result of his initiative in Visakhapatnam. The Vision Forum will be held from February 24 to 26 at the CII Investors Conference. This seminar, which is being held for the third consecutive year in the TDP rule, is of interest. These conventions were run by the AP government in collaboration with the CII. There are 11 plenary sessions of the center for this time, along with the Plenary of 8 items of the State Government. These include Sunrise AP, Industry 4.0, Skill Development, Easy of Doing Business, Central Government, Programs, Infrastructure Development, Automobile, Textile, Reproductive Energy, Tourism, Aerospace, Defense, Food Processing, Medical Equipment etc. Both sessions from Korea and Japan are also conducted. 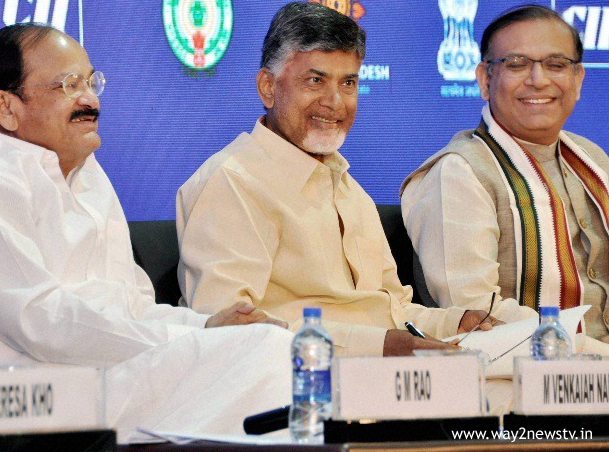 Chief Minister Chandrababu believes that the state will have big investments through the CII convention. The measures are taken to encourage the industry sector to be good results. Real-Time Governance is working to make the world aware of the way it provides and provides access to infrastructure.